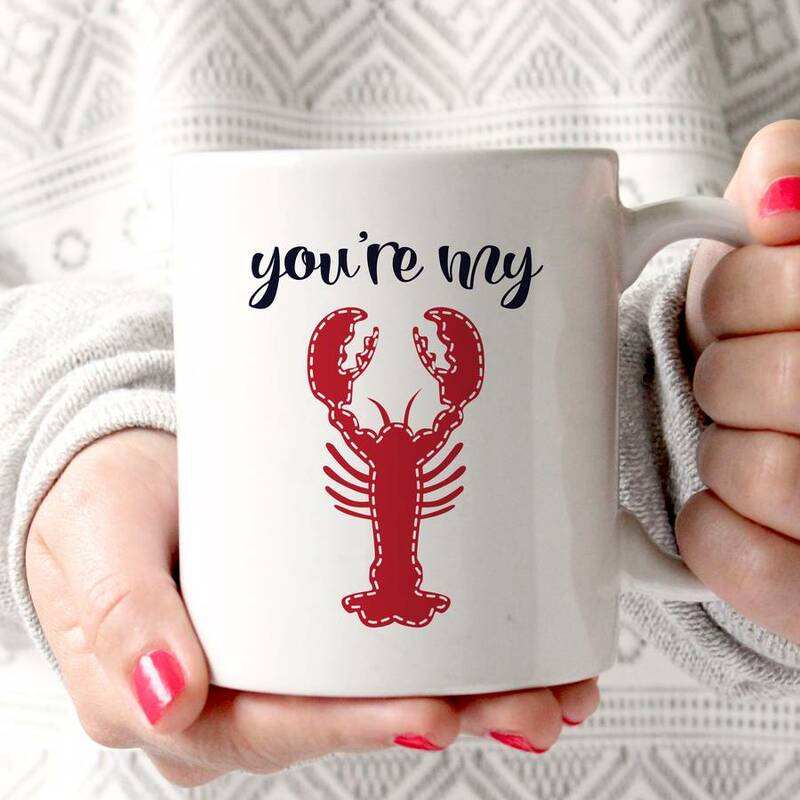 "You're My Lobster" = Your true love that you will always go back to! Stylish mug with design on both sides! Did you know lobsters mate for life? Declaring "You're my lobster" declares that you have indeed found your one true love, your soul mate. This useful, stylish and timeless gift will bring a smile to their face with every tea, coffee, latte, mocha, whatever their drink of choice. A great gift for birthdays, Christmas, Valenine's Day, Anniversaries or simply just because. Striking design in red and white. Completely dishwasher and Microwave Safe. This product is dispatched to you by Lucky Roo.